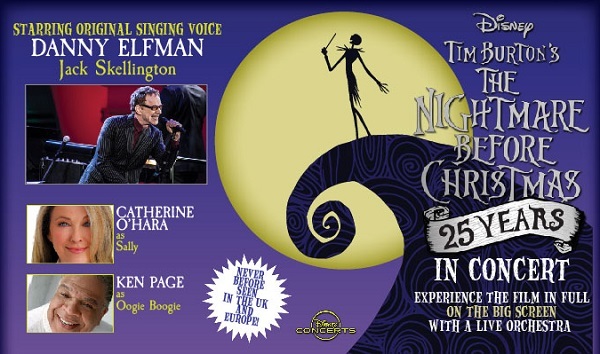 Tim Burton's Disney film will continue its 25th anniversary celebrations with a second night at the SSE Arena Wembley on December 5 and a stop at Dublin's 3Arena on December 8 with original cast members Danny Elfman as Jack Skellington, Catherine O'Hara as Sally and Ken Page as Oogie Boogie. Tickets go on sale 9am March 28. They will also head to the SSE Arena Wembley on December 4 and the SSE Hydro in Glasgow on December 2. Tickets for these shows are already on sale. The cast will be accompanied by the London Philharmonic Orchestra at Wembley, the Royal Scottish National Orchestra in Glasgow and the Orchestra of Ireland in Dublin. 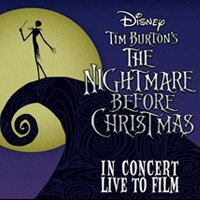 Click here to compare & buy The Nightmare Before Christmas Live Tickets at Stereoboard.com. Photo: Joseph Lynn The Mighty Boosh are the UK ambassadors for this year's Record Store Day.